It's not enough that snakes kill us with their venom, crush our ribs, and get us kicked out of Eden. They also have powerful stink secretions that can't be washed off. 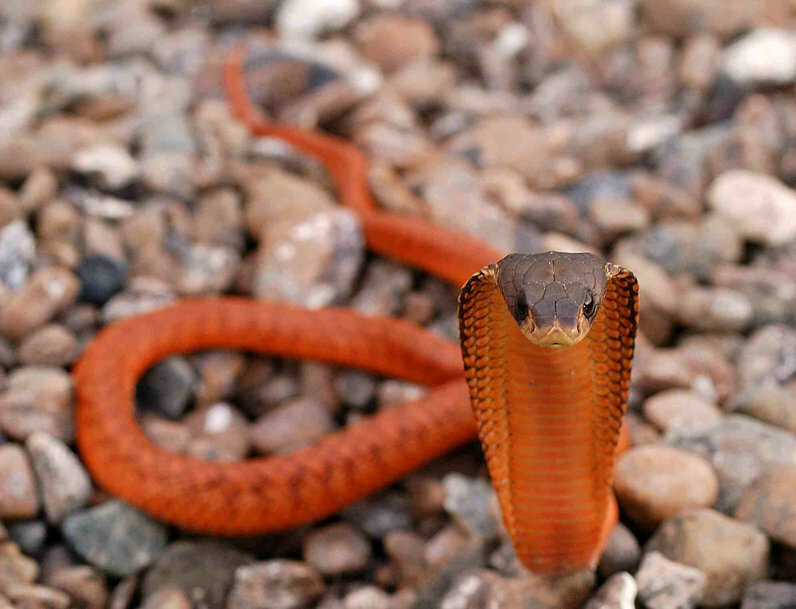 Learn why there is yet another reason to give snakes a wide berth. There are times when nature just flat-out does not play fair. Not only do snakes swim, creep, and climb, not only do they have venom and grow powerful enough to strangle us, they also can stink us up like they're skunks. 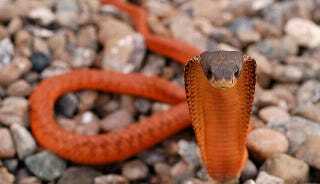 Though it understandably plays second-fiddle to the rest of their intimidating qualities, snakes have a certain secretion that they use both defensively and offensively. The first part of the secretion is good, old-fashioned feces. We can hardly blame them for that. The only thing that stops us from using it on them is when we're around snakes we're generally wearing pants. (Or at least underpants.) Then there is uric acid. Uric acid is a waste product. It's what happens when the body breaks down purines - organic compounds that make up some of the building blocks of DNA. When they purines aren't needed, they are taken apart, and excreted, usually through urine. The snakes just make better use of them than we do. And then there's snake musk. The musk is secreted from the cloacal scent gland, which explains why it comes with a bonus dose of urine and feces. Many snakes produce it, and it's a complicated mix of organic compounds. It seems to be useful for many things. Snakes use it to mark their territory, and it might be instrumental in selecting a mate. Female snakes - who are generally more rank - will borrow musk from males in order to chase other males away. As for its effect on mammals, little is known beyond the fact that if it is mixed into a lab mammal's food, the mammal will refuse to eat. We can hardly blame it. The scent is a calling card not only for snakes, but for herpetologists. It's not as strong as skunk spray - although sometimes people do vomit when exposed to it - but it is more durable. While skunks can be disarmed with hydrogen peroxide and baking soda, snake musk hangs on through multiple washings with whatever substance anyone cares to use. What's more, some chemicals in it are reactivated with water. A seemingly clean item of clothing - or patch of skin - will give off odors again whenever it gets wet. So it seems that snakes got every possible weapon nature could devise. Give them another couple of years and they'll find a way to cook up biological gun powder and evolve uzi-tails. Eh. At least they're not spiders.